Here at the Oxley Tavern we offer great food and friendly service. We have a fully renovated dining area called Bob's Bistro with a modern menu ready for you to enjoy. Our bistro is open for lunch and dinner every day of the week so call us today to make a reservation. If you're after a quiet drink, why not check out our sports bar? We have all your favourite sports action available for you to enjoy. Our extensive bar area is a great place to meet with friends after a long day at work, plus we also have a spacious outdoor area for family and friends to sit back, relax and soak in the sunshine. Functions are available here at the Oxley Tavern. Whilst we do not have a designated function area we offer plenty of opportunities to host your next corporate or social occasion. Our friendly staff are happy to assist you with your enquiries. If it's a relaxed, friendly atmosphere with great food and entertainment you are looking for, then make sure visit the Oxley Tavern today! Oxley Tavern is also open late to cater for your big overseas sporting events like Premier League games and historic FA Cup battles.We have UBET facilities available for your convenience while you enjoy the game. If you are interested in a specific game, please don’t hesitate to contact us. 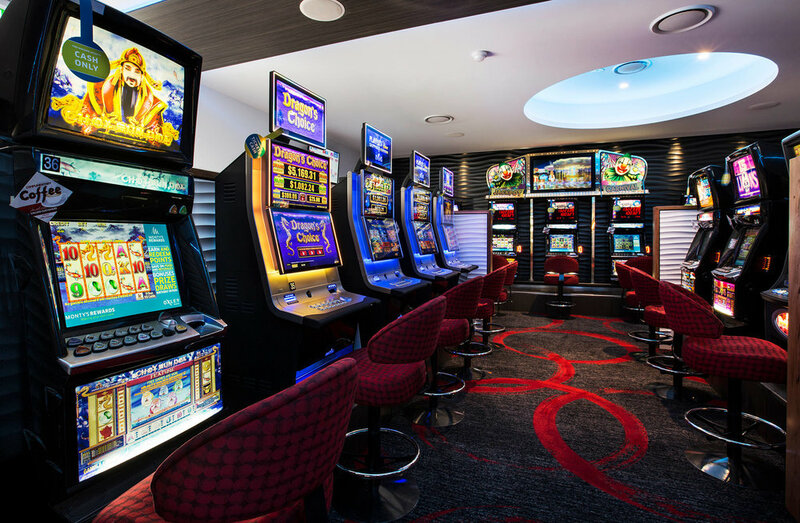 Our gaming room features 40 of the latest gaming machines, 2 Keno terminals and 2 TAB terminals in the venue, Jackpot Carnival and Jetsetter links, as well as individual jackpot machines. We offer complimentary tea and coffee around the clock as well as complimentary snack 2 times a day. With exceptional service and gaming promotions we have everything covered to make your experience at Oxley Tavern the most exciting and friendly experience ever.